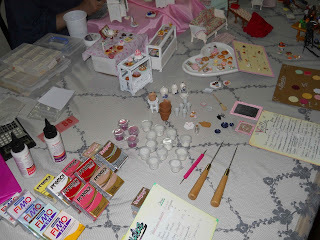 Hope you're having a very nice day, over here it's fresh and cloudy atm, I'd say it's a perfect day for staying home and enjoy the little mini making! Oh and I'm still working a lot in my book, I have lots of tutorials and pictures to take, not easy task! but fun for sure :). 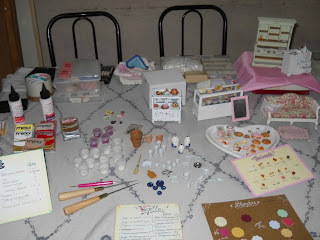 La mesa se ve preciosa con todas tus maravillosas creaciones!!! You have been busy! The pictures are great! What wonderful miniatures. I hope you get to the show. 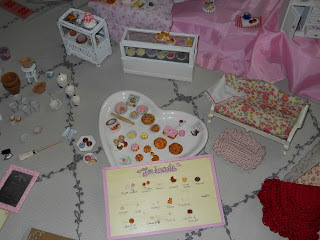 Great table! Hope you had a wonderful time! Are you making a book? How exciting! Good luck! I think you understand. Great table! Hope you had a wonderful time!